« Innoventions at Disneyland is closing! The Disney 24 Hour Event 2015 is coming to the Walt Disney World Resort. Specifically, Disney World’s Magic Kingdom Park will be open to guests for 24 hours of nonstop fun from 6 a.m.-6 a.m. May 22-23. 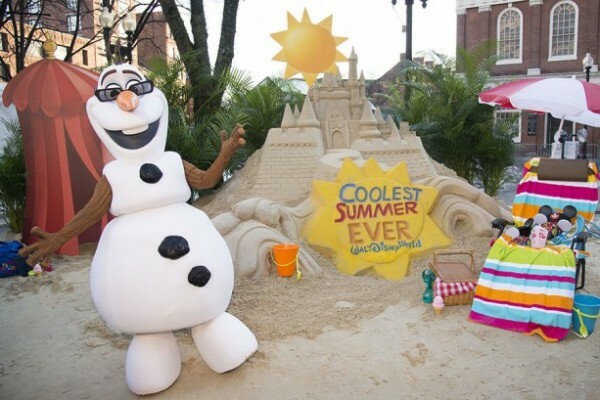 Guests are invited to dress to show their Disney Side while a selection of favorite attractions, entertainment, merchandise, food and beverages will be on tap all night long to celebrate the start of the “Coolest Summer Ever” at Walt Disney World Resort. These 24 hour events are very popular and, in my opinion, totally crazy. While I certainly understand the desire to stay in the Magic Kingdom for the maximum amount of time possible, I’d really rather have 2 full days with a good night’s sleep than 24 hours straight with no sleep. Still, it’s fun to be able to have said you stayed in the Magic Kingdom for 24 hours, and crazy things can happen as people devolve into incoherence from a lack of sleep. My favorite activity is taking pictures of the people who have passed out on rides or, even better, park benches! Do you want to visit Walt Disney World for the 24 Hour Event? Click here to request a free, no-obligation quote! This entry was posted on March 11, 2015 at 9:11 am and is filed under Disney News, Disney Vacation Planning, Special Events, Walt Disney World. You can follow any responses to this entry through the RSS 2.0 feed. You can leave a response or trackback from your own site.